The Compact Handlebar Bag by Topeak is a clever handlebar bag that converts into a fanny pack. Using Topeak's QuickClip™ system, the Compact Handlebar Bag can be easily attached and removed with the simple click of a button. 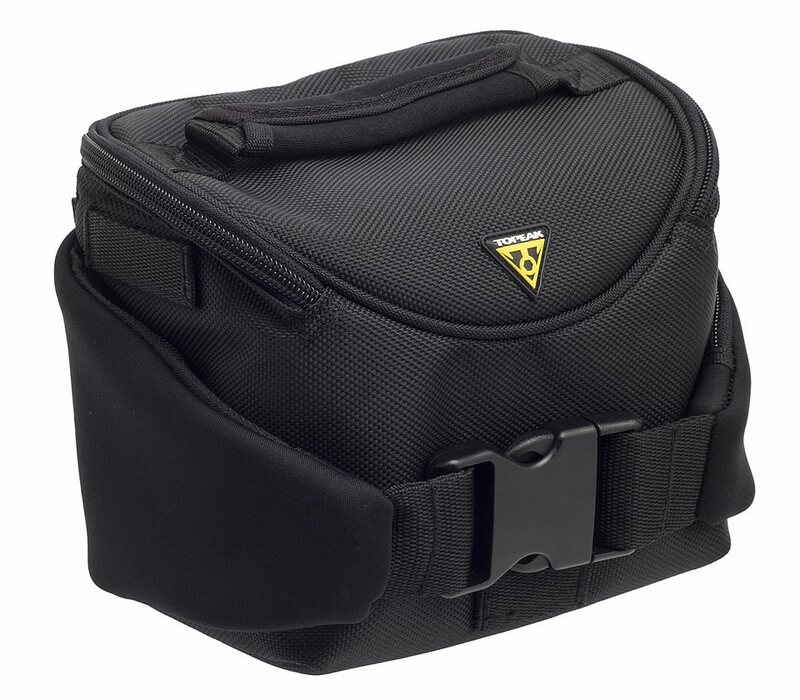 The bag features a large divided main compartment to keep your belongings organized and two side zipper pockets for use when wearing as a fanny pack. No need to worry about losing out on valuable handlebar space, the Compact Handlebar Bag includes Handy Phone Pack and Cycling Computer mounts so you can still keep your phone and/or cycling computer right where you need it. The Compact Handlebar Bag also includes a rain cover for those wet commutes, and with enough room to keep your phone, MP3 player, wallet and more, its ready to be loaded up and taken on a 2-wheel stroll around town! 8.7" x 5.1" x 7.1"
Can additional handle bar fasteners be purchased with this Topeak handlebar bag?